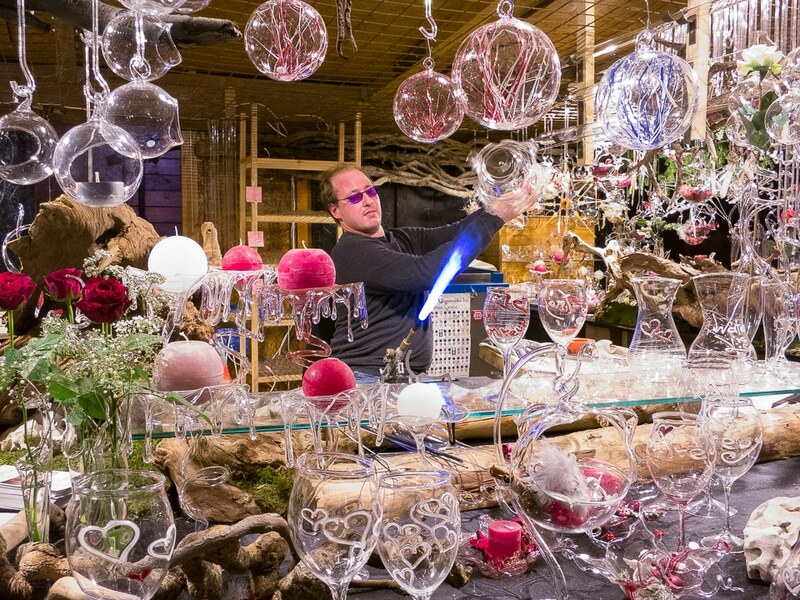 Glass blower with ornaments at the Montreux, Switzerland, Christmas market. Our holiday gift guide for travelers might be a bit idiosyncratic. * From books to gadgets, you’ll find ideas that work just as well for armchair travelers as road trippers, as appropriate for domestic jaunts as international adventures, and as inspiring for daydreamers as jetsetters. We like good design and functionality in our travel products. But we appreciate personal comforts at home and on the road, so we hope our recommendations for holiday gift-giving are useful wherever you are. We’re in our ninth year of travel, and our sixth year blogging for TravelPast50. That’s a lot of product testing, whether we knew that’s what we were doing or not. These gift ideas are culled from favorite products we’ve tried this past year. Some we’ve discovered via press releases and trade shows, some we’ve run across all on our own. We’ve personally used everything we recommend here, unless noted. Best gift idea of all? Travel itself. Get up and go. Buy an airline ticket or reserve a cabin in the woods. A travel gift doesn’t have to be the trip of a lifetime. It can also be a weekend getaway. And if you work this gift-giving right, you can join in the fun. One of the best gifts I ever received was a last-minute, long weekend in San Diego, a much-appreciated getaway when I needed it most. Check our blog for ideas (browse our destinations here) or pose a travel question to our Travel Past 50 Facebook Community. Keep an eye on this space if you are interested in traveling with us to Sweden in 2019. Tom and I are packaging an itinerary for a small group based on our experiences in Sweden earlier this year. Late summer? Sign up for our newsletter if you’d like more information. Expand your horizons by attending a local theater or dance performance and/or dining out at a restaurant that transports you to another part of the world. Whether the evening is holiday related or not, you’ll have the pleasure of supporting the arts and local businesses, and seeing your own place in the world with new eyes. Best shared with loved ones. EarPlanes. Just pop these little devices in your ears for the last 45-60 minutes of your flight to avoid the discomfort of plugged ears. They work, and they come in children’s size, too. The only drawback is that your music earbuds need to be removed to use these, so I’m going to resurrect my over-ear headphones for my next flight. Eargasm earplugs. These are earplugs Tom carries in his pocket whenever we’re out, not just when we’re out of town. Loud restaurants or bars with music are the best place to use them. They reduce the sound pressure, yet still allow you to talk to the person next to you. He loves them. Thin Optics. 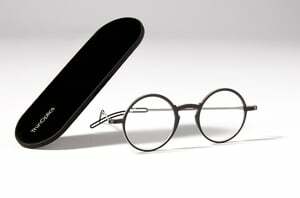 A hot new product especially for those of us who might use “cheater” glasses. Thin Optics come in round or rectangular shapes, and in three levels of magnitude. But best of all, the über-thin case can adhere to your mobile phone so that the vision aids are ready any time, easy to find, and don’t take up any space. Now I can ditch the satchel full of eyewear I’ve been known to travel with. Black Diamond Headlamp. May as well see where you are going. 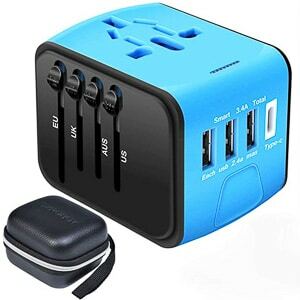 Plug adaptor with USB ports. Our new fave item in the electronics bag. Amazon sturdy charging cables for iPhone. It’s about time to use cords tough enough to withstand winding and unwinding, packing and unpacking. The real Swiss army knife. 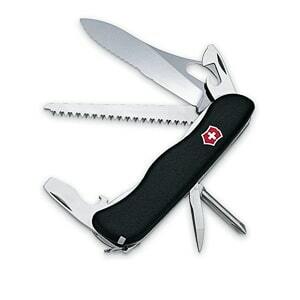 This is the knife the Swiss army actually carries. It’s a heavy duty camping knife with a serrated blade, an awl, a flat and Phillips screw driver, and a can and bottle opener. No corkscrew, manicure scissors, or tweezers For all those jobs, you might want this one. 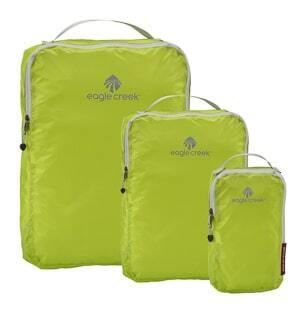 Ultralight Eagle Creek packing cubes. These cubes are particularly lightweight. A tip on packing cubes: they encourage you to pack the same stuff in the same way for every trip. That consistency is the best prevention for forgetting items. We use cubes for small items only, so a cube for socks/underwear, a cube for gym clothes, etc. Each cube becomes its own dresser drawer on the road; no need to dig around searching for socks or scarves. 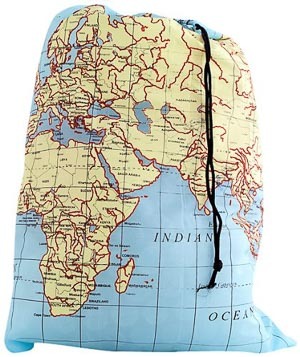 Travel Laundry Bag. Helps keep your clean clothes clean, and also gives you a decent way of carrying your unmentionables across town to a laundromat, if you’re not washing by hand. 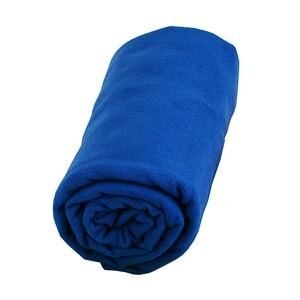 Quick drying travel towel. Doubles as a picnic cloth or a pillow cover. Tenth Street Hats. 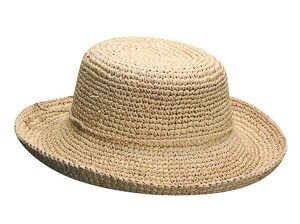 For the beach, especially, we love the broad brim, the cool raffia weave, and the fact that this stylish hat can be wadded up into a ball to pack. Tilley Hats. Both of us wear Tilley Hats regularly. 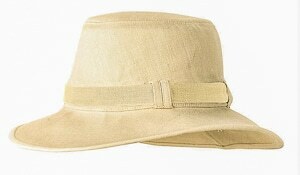 Kris’s hat is always packed and ready to be called into action for hikes, boating, or city walks. Great features include an interior pocket, a wind strap, and a good sweat band. Some even float, and all are washable. Aventura Anya Wrap Cardigan Sweater. A recent addition to my suitcase, this cardigan has risen to the top of the heap as the one and only sweater I pack. Light weight, neutral color, and a little flair and asymmetrical styling look fine in the evening. Bluffworks Blazer. A sport jacket will do wonders earning you better service and upgrades at the airport. 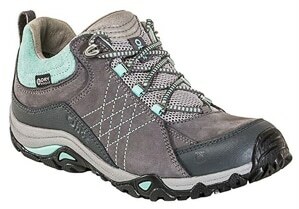 This is a great item to add to your collection of hiking layers and high-performance apparel. (Alas, Tom wears this about as often as he shaves.) It looks great, has a soft touch, and can be rolled up into your luggage or overhead bin without deleterious effect. And its washable! Point6 Hiking Socks. Our new favorites for all seasons, but especially under boots and traipsing through deserts, over rocks, and into riverbeds. Obōz shoes and sandals. I received the flip-flop type sandals as a gift, and was so impressed with the foot bed that I went out and bought the hiking shoes. These Obōz hug the heel but are wide enough in the toe box, a rare combo. I’m also loving the top lace hooks which makes it super easy to put on and take off the hiking shoes, convenient when jumping up during long flights. ExOfficio shirts. A long sleeve shirt is the most wonderful, versatile, and basic wardrobe item for travel. Collars protect from sun or draft; long sleeves can be rolled up for hot weather. Fabrics can be soft, breathable, solid, printed, vented–or feature sun protection or insect repellents. ExOfficio shirts are favorites for both of us; they’re lightweight, dry fast, and hold up to tough wear. Mountain Hardware down jacket. Not new to my wardrobe, but still going strong, is my Mountain Hardware down jacket, first used in 2011 in Patagonia. It crushes down to the size of a softball, so it goes with me everywhere and can be worn as a jacket, a sweater, or a warm layer under rain gear. 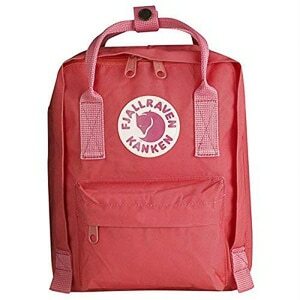 Fjallraven Kanken. Continuing our love affair with Sweden this year, and to replace Kris’s dying Kipling city day pack. The Fjallraven’s still being broken in, but it’s durable and holds a lot. Duluth Pack. 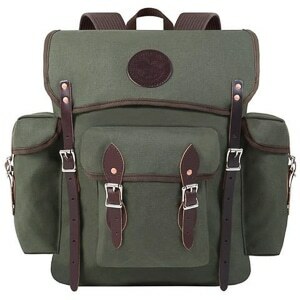 Kris is jealous of Tom’s Duluth Pack Wanderer in waxed canvas. It’s a simple idea: one big pack that’s more than enough for a long weekend’s worth of stuff. And two side pockets and a large front pocket for stuff you need to get at, e.g. a large water bottle, camera, whatever. And what’s really cool is it’s soft, so it’s easy to fit into the overhead bin. And the way the airlines are getting more particular these days, that’s critical. Finally, it looks really cool in a world of look-alike roll-aboards. Osprey Skimmer 22 Woman’s Daypack. Tom loves his biking backpack so much he brought a similar bag home for me. Want more luggage and pack recommendations? Take a look at some of our other favorite pieces of luggage, or this post about our favorite bike gear, or this recent story about packing for Africa. Ideas galore. 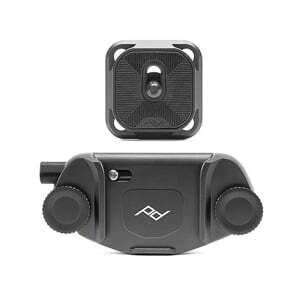 Peak Design Camera Clip. This clever gadget clips onto the front of your backpack strap. With the accompanying mount on the base of your camera that slips right into the mount, you have your camera right at hand at all times when you’re hiking or biking. So much easier than fumbling for it with you want to take a shot. 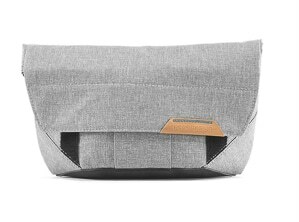 Peak Design field pouch. A water resistant pouch for your point and shoot camera with nifty interior pockets for spare batteries and extra memory cards. Looks good, too. Peak Design camera strap. Tom loves this strap. Comfortable for his heavy cameras, and instantly adjustable for length so it can be worn short around the neck, or longer over the shoulder. In the past year since we’ve had a real mailing address (as opposed to P.O Box only), we’ve gladly accepted review copies of travel-related titles that interest us. And, despite promises to ourselves about keeping the clutter at bay, we see a steady stream of new books finding their way into our home. Ultimate Journeys for Two. We contributed a section on Ghent, Belgium, to this handy NatGeo book written by our friends Mike and Anne Howard. 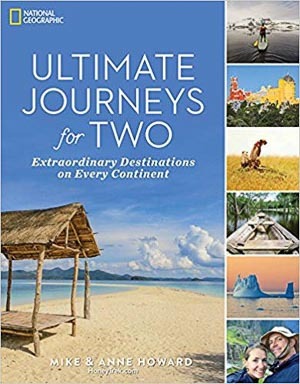 For travelers young or old–and not necessarily ‘coupled,’–Ultimate Journeys offers a ton of destination ideas and what to do when you get there. 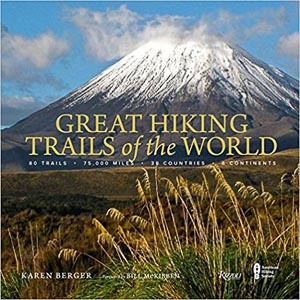 Great Hiking Trails of the World. We contributed photos for the section on the Camino de Santiago. A gorgeous book we refer to when dreaming of our next adventure. 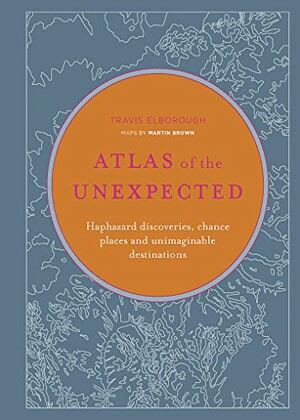 Atlas of the Unexpected: Haphazard discoveries, chance places and unimaginable destinations Sort of in the vein of one of my favorite, idiosyncratic books (Pocket Atlas of Remote Islands), this book combines brief essays about oddball discoveries and interesting interactions set in a wide range of locations across the globe. Now I know the story of Thousand Island dressing. The Year of Living Danishly. 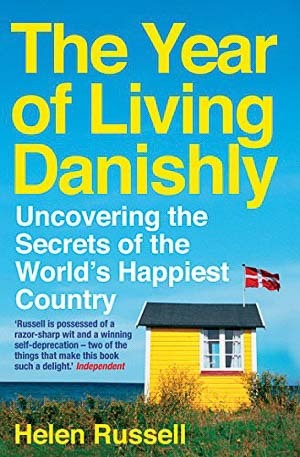 A clever, amusing year in Denmark told by an English expat, and food for thought as we consider where in the world we may want to live. Walking to the End of the World. 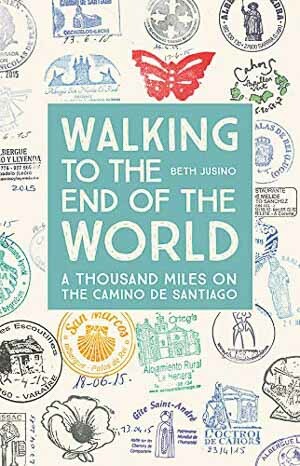 A highly readable diary of walking the Camino de Santiago, starting in Le Puy, France. 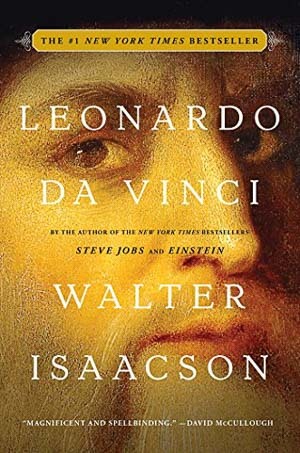 Leonardo Da Vinci Tom says this is the best book he read this year. 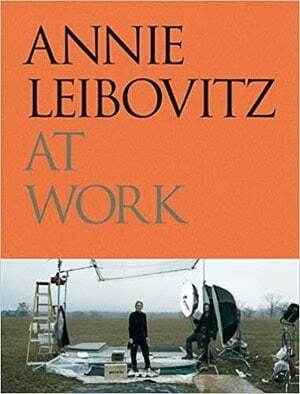 Annie Leibovitz at Work Famed Rolling Stone and Vanity Fair photographer Annie Leibovitz tells the stories behind her iconic photos. 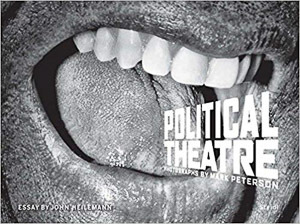 Mark Peterson: Political Theatre Mark Peterson shoots for the New York Times, the New Yorker, the Atlantic, and most every other important publication. This book is full of his brilliant photos along the campaign trail in 2016. Unstinting portraits of the politicians, and their followers. A stunning book. 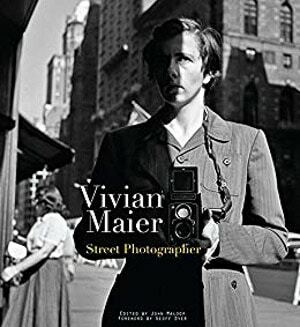 Vivian Maier Street Photographer Vivian Maier was a professional nanny, who from the 1950s until the 1990s took over 100,000 photographs worldwide—from France to New York City to Chicago and dozens of other countries—and yet showed the results to no one. Her negatives were discovered only after her death. An amazing body of work that defines street photography. Colors of the West. 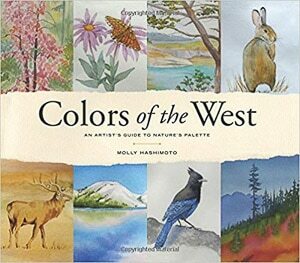 Subtitled ‘An artist’s guide to nature’s palette,’ this attractive book may inspire travelers to set down the camera and pick up the pen and brush, an exercise is seeing more details in our surroundings. Ljusår (Light Year, A Year of Light). 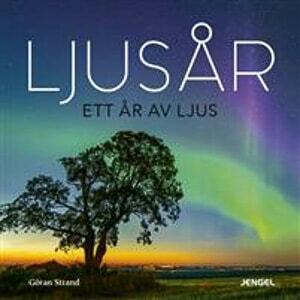 Since this book isn’t readily available in the U.S., we can only suggest you a) come visit Sweden with us in 2019, or b) visit Göran’s Strand website to see his astro-photography, specifically of northern lights. 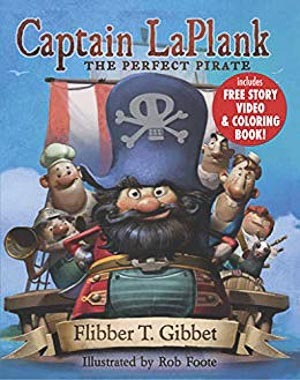 Captain LaPlank, The Perfect Pirate. For school age children, a story that weaves the adventures of a buccaneer with lessons in leadership and dealing with imperfections. Happy holidays, happy gift-giving. Here’s to seeing–and understanding–more of the world in 2019. Links on this page may be associated with affiliate partners. When you purchase something from this page, Travel Past 50 may receive a small commission at no extra charge to you. Thanks! *We’re not afraid of being idiosyncratic. Once upon a time, we put our middle-class suburban home on the market. The real estate agent we were working with blamed the lack of interest in our home on our “idiosyncratic” art collection. We found another agent and the house sold quickly. Awesome gift guide!!!! Thank you guys SOOOO much for featuring “Ultimate Journeys for Two” and thanks for being part of the book as well! How could we not? It’s a great book of suggestions, and I happen to know the Ghent chapter is outstanding! Great list and so varied there really must be something for everyone on it! I love your list! Especially the books and the hats. I’m always looking for scrunchy-up but stylish hats as I lose so many and wear them a lot of the time in Australia in summer. This is a great guide for gift giving to travelers. It seems that many people don’t realize the value in some of the items you have shared, but well seasoned travelers have different values. Thanks for sharing! Everyone in my family seems to constantly be traveling so this is the exact gift guide we all needed! Plus, I’ve had my eye on a Fjallraven bag for quite some time now- maybe this is a sign that I should finally commit to one! I always love travel-related gift guides at this time of year. But it always makes me want to buy them for US! 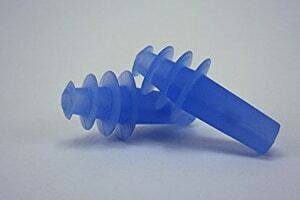 Great options especially for the earplugs/silencers! So many choices!! But I’m a sucker for that laundry bag! Love it!